Mental health is relevant to everyone; so why focus on women? There are many reasons. There are mental health issues unique to women. For example, reproductive-related issues like postpartum depression. There are mental health issues that affect both men and women, but with unique implications for women. 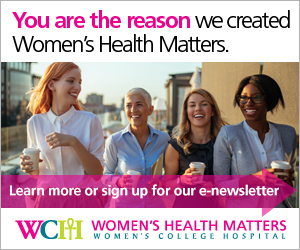 Economic, political, and social forces influence women’s mental heath, and our access to care. Often women are socialized to express their feelings in certain ways, and not others. This can result in their mental health problems looking different than men’s, which is often categorized by the medical field as “atypical.” For example, women who are depressed report more physical symptoms than men. Women are more often the primary caregivers in families and can experience stress balancing their multiple roles: mother, employee, friend, etc. Consequently, while women may share many health concerns with men, they have unique health-care needs. A good workout doesn’t just benefit your physical fitness. Exercise also has a positive effect on mental health, providing benefits that range from improving sleep to easing anxiety. What is the difference between depression and being sad or unhappy? Depression is an illness, and is not the same thing as being sad or unhappy, although those feelings may be symptoms of depression. Dr. Simone Vigod, a psychiatrist at Women's College Hospital, explains the difference. The number of patients prescribed opioid pain medications has increased in recent years. Along with the increase in prescriptions, there has also been an increase in the number of people – including women – who become addicted to these medications. What's the difference between 'baby blues' and postpartum depression? Dr. Cindy-Lee Dennis, senior scientist at the Women’s College Research Institute and Shirley Brown Chair in Women’s Mental Health Research at Women’s College Hospital, discussing the difference between baby blues and postpartum depression. Mother Matters: Information about our online support group for new moms.